Rhiannon Royale and Octo Flash collided soon after the start. Covfefe and Avoided Chaos collided soon after the start. Covfefe and Like Lily collided soon after the start. Octo Flash, Like Lily and Blazin' Ruby collided at the 300m mark. Rhiannon Royale and Covfefe collided at the 250m mark. Blazin' Ruby and Like Lily collided at the 200m mark. Rhiannon Royale veered out and eased at the 150m mark. Rhiannon Royale and Blazin' Ruby collided approaching the 100m mark and again at the 100m mark. Avoided Chaos was vetted following the event. It was reported that the greyhound sustained a haemorrhage from the left nostril. A five-day stand down period was imposed. Rhiannon Royale was vetted and revetted following event seven. It was reported that the greyhound sustained . A five-day stand down period was imposed. Stewards spoke to Mr Bernie Ender, the trainer of the greyhound Rhiannon Royale, regarding the greyhounds racing manners at the 150m mark. Acting under GAR 69(A)(1) stewards charged Rhiannon Royale with failing to pursue the lure with due commitment. 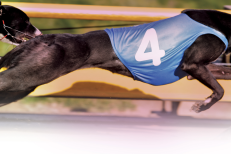 Mr Ender pleaded guilty to the charge, Rhiannon Royale was found guilty and suspended the greyhound for three months (all tracks) and it was directed that the greyhound perform a Satisfactory Trial (all tracks), pursuant to GAR 69(A)(2)(b), before any future nomination will be accepted. A sample was taken from Dorothy Dawn, the winner of the event. Stewards spoke to Mr Joe Uglietta, the trainer of Ruby's Rosa, and charged him with failing to obey the starter's instructions prior to this event by crossing the OH&S barrier, as per GAR 51(4). Mr Uglietta entered a plea of not guilty, stewards considered the evidence and issued a fine of $100. All Revved Up was a late scratching at 5.44am due to a pad injury (GAR 23). A ten-day stand down period was imposed. Stewards will require a veterinary certificate before any future nomination will be accepted. Big Tilly was slow to begin. Our Rocket crossed to the rail at the 300m mark, checking Adriel, Crackerjack Mick and Miss Walt. Precious Metal galloped on Miss Walt at the 250m mark, checking both greyhounds. Big Tilly and Our Rocket collided at the 250m mark. Miss Walt checked off Big Tilly approaching the 100m mark. A sample was taken from Hard Boiled, the winner of the event. Daintree Prinz and Gin Lee's Pride were slow to begin. Becket and See Ya Mate collided soon after the start. Mirror Max and Gin Lee's Pride collided approaching the 150m mark. Big Bold Boomer was vetted following the event. It was reported that the greyhound sustained an abraded right carpal pad. A 14-day stand down period was imposed. A sample was taken from Lilrigg, the winner of the event. Why Not Senor was slow to begin. Wolfie's Sook and Inter Why Not Senor collided soon after the start. Fifty Dollar and Claretown Boris collided soon after the start. Petite Harbour crossed to the outside approaching the 300m, checking Inter Elesha, Dashing Dino and Dozer Gold. Petite Harbour and Inter Elesha collided approaching the 150m mark. Stewards noted that the muzzle of Petite Harbour was lodged between the greyhound's teeth upon reaching the catching pen. A sample was taken from Fifty Dollar, the winner of the event. Sports Knight and Mini Tron were slow to begin. Zipping King, Tricky Tron, Swift Spur and Sargent collided soon after the start, causing Zipping King to fall and tail the field as a result. Swift Spur and Rattle Gate collided at the 200m mark. Zipping King was vetted following the event. It was reported that the greyhound sustained injuries to the lumbo-sacral and cervico-thoriacic regions. A ten-day stand down period was imposed. A sample was taken from Acey Boy, the winner of the event. Pinciotti, All You Got, Blue Afro and Turfman were slow to begin. Pinciotti and All You Got collided soon after the start. Blue Afro and Turfman collided soon after the start. Porscha's Girl crossed to the outside soon after the start and collided with Jimmy's Angel several times, checking Porscha's Girl, Jimmy's Angel, All You Got and Emily Skye. Pinciotti and Emily Skye collided at the 200m mark. All You Got and Emily Skye collided at the 100m mark. A sample was taken from Pinciotti, the winner of the event. Azza was slow to begin. Ryben Jack and Banjo Barbie collided soon after the start. Toffee Lady checked off Weeona Dino at the 250m mark. Banjo Barbie was vetted following the event. It was reported that the greyhound sustained no apparent injury. Stewards spoke to Mrs Christine Cortese, handler of the greyhound Scooby Boy, and reminded her of her responsibilities in the manner in which she must comply to the directions of the Attendant at the entry security gate, pursuant to GAR 46(1). A sample was taken from Weeona Dino, the winner of the event. Stewards spoke to Mr C Russell (representing Trainer - Mr A Rocke), regarding the length of time Shooter's Odysey has had between races. Shooter's Odysey last raced at Healesville on 25 February, 2018. Mr Russell stated that the greyhound had a change of kennels. Mr Russell also declared a new weight of 29.7 kg. Shooter's Odysey last raced at 28.4 kg. Lost Horizon, Janray Squawker and Shooter's Odysey were slow to begin. Mickie Raven, Regal Memphis, Shadrack, Grey Magic and Shooter's Odysey collided soon after the start. Mickie Raven, Regal Memphis and Shadrack collided at the 250m mark, checking all three greyhounds. Shooter's Odysey checked off Lost Horizon at the 250m mark, severely checking Shooter's Odysey which faltered and pulled up as a result. Grey Magic and Janray Squawker raced tightly from the 150m mark to the 100m mark. Lost Horizon and Grey Magic collided approaching the winning post. Shooter's Odysey was vetted and revetted following event 12. It was reported that the greyhound sustained an abraded left carpal pad, abrasions to the left leg and right hock, and a spike wound on the left hind leg. A 14-day stand down period was imposed. A sample was taken from Janray Squawker, the winner of the event. Mr Justin Hetherton, trainer of Springinator, declared a new weight of 29.1 kg for the greyhound in accordance with GAR 39(2). Springinator last raced at Healesville on 6 May 2018 at 31.0 kg. Latissimus Dorsi went up with the lids at box rise and was slow to begin. Here Comes Tom was slow to begin. Jupiter Asending and Rapid Rock collided approaching the 250m mark, approaching the 150m mark, and again approaching the winning post. A sample was taken from Major Energy, the winner of the event. Stewards spoke to Mr K Kubik (representing Trainer - Mr P Burkby) regarding the length of time Just Teefa has had between races. Just Teefa last raced at Bendigo on 23 February, 2018. Mr Kubik stated that the greyhound had a change of kennels. Mr Kubik also declared a new weight of 32.9 kg. Just Teefa last raced at a weight of 31.6 kg. Tiny Octane and Sublime Sull were slow to begin. Miss Booming and Sublime Sull collided soon after the start. Longshot Glory and Spazzy Blue collided at the 250m mark, checking Miss Booming. Miss Booming checked off Tiny Octane at the 200m mark. Tiny Octane and Miss Booming collided approaching the 150m mark and again several times at the 50m mark. Tiny Octane checked off Miss Booming approaching the winning post, checking Tiny Octane. A sample was taken from Oliver Cruise, the winner of the event. Stewards spoke to Mr D Williamson, the trainer of Bossy Caleb, regarding the length of time the greyhound has had between races. Bossy Caleb last raced at Traralgon on 5 March 2018. 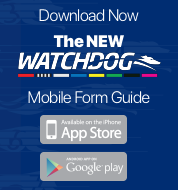 Mr Williamson stated that the greyhound was returning to racing following a left shoulder injury. Daintree Teacake and Plumcad were slow to begin. Plumcad, Gammy's Choice, Selynya Kev and Bossy Caleb collided soon after the start. Bossy Caleb and Selynya Kev collided several times approaching the 250m mark; Selynya Kev faltered and tailed off as a result. Gammy's Choice and Plumcad collided at the 250m mark. Selynya Kev was vetted following the event. It was reported that the greyhound sustained an injury to the right gracilis (back) muscle. A 60-day stand down period was imposed. A sample was taken from Senni Richard, the winner of the event.